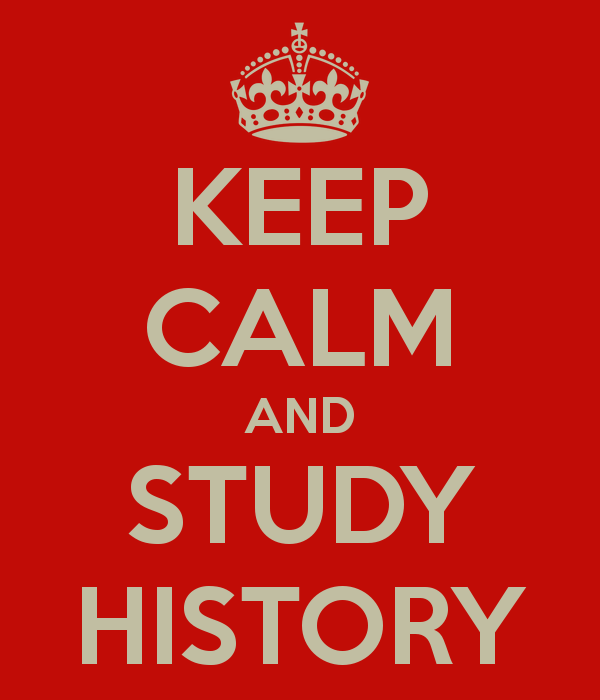 History (Revolutions) is one of the most rigorous and content heavy studies in the Victorian Certificate of Education (VCE). Completing this course is a challenging task, even for those with a strong grounding in the Humanities. History (Revolutions) requires regular and intensive reading, the acquisition and development of new skills, the ability to learn difficult new concepts and the retention of a great deal of information. For all its difficulty, however, the History (Revolutions) course can be interesting, fulfilling and intellectually rewarding. Revolutions are the great turning points of history; they are filled with drama, action, violence, hope and failure. What’s more, the ideas and outcomes of revolutions will help improve your understanding of the modern world. This page contains some information and advice for students undertaking the History (Revolutions) course, or for those thinking about selecting it. It is written to help you understand what is required to maximise your potential. Above all, the key to success in History (Revolutions) is to work hard, work consistently and take it seriously. Outcomes in this course are rarely misleading; a student’s results are almost always a fair reflection of their work ethic, organisation and attitude. History (Revolutions) is a subject that rewards those who apply themselves, stay positive and follow good advice. Get to know the course. First, it is important to take some time getting to know the course. Find out what it involves and what it requires of you. Get a handle on the course structure and terminology. 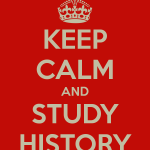 Read the advice on the Alpha History website and take a look at the VCE History Study Design. Look over some past exam papers and assessor’s reports. Talk to students who have recently completed VCE History (Revolutions); ask what information or advice they would give themselves if starting the course again. Talk to your teacher about the course and find out what their expectations are. Ask what kinds of assessment tasks, homework and class activities you can expect through the year. Visit your school library or town library to see what resources are available. Work consistently all year. Success in VCE History is dependent on a positive approach and a strong and consistent work ethic. To succeed, it is important that you read, revise and work consistently throughout the year – even if your teacher does not specifically require it. Regular reading and revision are vital because they improve your retention and, with time, your understanding will become more sophisticated. Avoid putting your VCE History studies or reading ‘on hold’ for days or weeks while you attend to other studies or interests. Approach all teacher-set homework, coursework tasks and assessment tasks seriously and complete them to the best of your ability. If unsure what you can or should be doing, consult your teacher or another student you trust. Read regularly. There is no escaping this: doing well in History (Revolutions) demands a considerable amount of reading. Just reading your textbook will not be enough. There are ways to organise your reading to optimise its impact and effectiveness. Make your reading sessions short but regular (most students will retain more from reading 20-30 minutes each day or two than from longer but less frequent sessions). Never read while tired or stressed. Avoid reading around distractions, such as other people, loud music, television, your phone or computer. Don’t rely on one source such as your textbook; instead, gather a range of material such as books, handouts, articles, documents and websites. Don’t read aimlessly but select a topic or theme for your reading. Highlight, annotate or make notes as you read, if you find this helps. Develop your knowledge. Factual knowledge is the who, what, when and where of history: people, events, dates and places. It is the ‘meat and potatoes’ of historical understanding. To do well in any history course you must acquire and retain a sizeable amount of this factual knowledge. This will come from regular reading, from taking or compiling notes, from participating in class activities and discussions and from regular revision. Work to increase and improve your knowledge, as much as time and memory permit. Find resources like websites, handouts, timelines or revision material to help you. Regular revision quizzes, such as those available on the Alpha History website, may help you with memorising and recalling factual knowledge. Learn historical concepts. Doing well in History (Revolutions) goes beyond factual knowledge about what happened. Your written work must also incorporate and utilise important historical concepts. You should be familiar with terms and concepts like political, social and economic; long term and short term; cause and effect; historical perspectives and historical interpretations. Understanding and applying these concepts often separates good history writing from simple descriptive writing. You should also be aware of the complex divisions that exist in a society, including classes, social status, regional differences, religions and interest groups. When studying a revolution you should be particularly aware of the importance of ideas and ideology. Work on your historical writing. History (Revolutions) students must also become effective writers of history. If you work consistently, seek feedback and reflect on your writing, your technique will improve through the year. Think about the best ways to structure particular types of written response, such as short answers, paragraphs and essays. Taking a minute or two to jot down a structure for longer pieces of writing is always useful. Think carefully about the way professional historians write, particularly how they combine integrate narrative (recalling events) evidence (providing proof) and analysis (providing explanation and argument). Seek feedback from your teacher, tutor or high achieving classmates. Don’t just accept grades or assessments about the quality of your writing: ask for suggestions about how to improve it. The Alpha History website contains some useful advice on history writing and history terminology that you may find useful. Develop your evidence analysis skills. Another essential skill in History (Revolutions) is the ability to examine a document or image, ascertain its meaning and record your findings in writing. In this course you will study and interpret historical sources regularly: in-class activities, coursework, assessment tasks and the end of year exam. It is therefore important that you practice and refine analytical skills regularly during the year. Even if your teacher does not give you set tasks, it is a useful study habit to examine documents and images, while thinking critically about their meaning, function and accuracy. The Alpha History website also contains advice on analysing images. Think about perspectives and interpretations. The people who lived through your revolutions had different motivations and ideas and they experienced the revolution in different ways. These are known as historical perspectives. The historians who have studied your revolutions have reached different conclusions and formed different theories and arguments. These are known as historical interpretations. As a senior history student, you should understand that revolutions are complex and divisive events with a multitude of experiences, ideas and viewpoints. You should be prepared to discuss and evaluate different contemporary perspectives and interpretations of the past. Prepare yourself for this by reading widely and gathering a wide selection of quotations. Get involved in discussion and debate. Reading and writing about your two revolutions is the best avenue to success – but there is more you can do. It is important to involve yourself in discussions or debates about the course and your revolutions. The obvious place for this is in the classroom – but you can also discuss topics and issues with your classmates, parents or grandparents, former VCE History students or anyone who is interested in or relatively knowledgeable about history. Online forums and social media like Twitter are other options for discussing history. Talking about information, issues and perspectives will help consolidate your understanding and give you confidence when expressing your views. It is also good to have our ideas and assumptions challenged from time to time. Attend student lectures. Several organisations and companies, such as the History Teachers’ Association of Victoria, offer VCE History lectures during the academic year. These lectures are usually held on the weekend at local schools or universities. Student lectures are presented by experienced academics, history teachers, textbook authors and exam assessors. 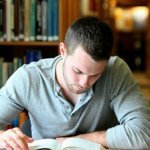 They cover the essential points and issues in each Area of Study and provide you with valuable study tips and information about the exam. It is good to meet other history students and experience a university-style lecture. It is also useful to hear the course content from someone other than your teacher. Attending these lectures is a good idea – but only if you are in a position to do so. They are useful but not essential. Use your teacher. Your history teacher is your best resource. Use your teacher as a source of ideas, guidance and feedback. Communicate with your teacher regularly, both in and out of class. Find out their expectations, particularly when it comes to coursework and assessment. Ask them for personalised feedback and advice. Don’t just ask your teacher for an opinion on how you have done, ask them for advice on how to improve. Show your teacher that you are prepared to work hard and most teachers will work hard to help you.